A few months ago I entered a colouring competition. I'd all but forgotten about it until I had an email a few weeks back saying "You have come first in our colouring competition". I was elated, to say the least. The last time I won a colouring competition was a promotion for Lassie. The prize was a double pass to see the film, but by the time they sent me the tickets the movie wasn't on anymore. Pretty devastating. I've since been skeptical of most competitions. I can't say "I never win anything, I just "never really win anything very good". I did win a safari to Uluru a few months ago, which sounds exciting in theory, but their terms and conditions were less than fun. It was for one person only and no flights or accomodation were included. The prize was also non-transferrable and only valid for a short time, so I couldn't even pretend I had bought it for my uncle who is heading to NT later in the year. 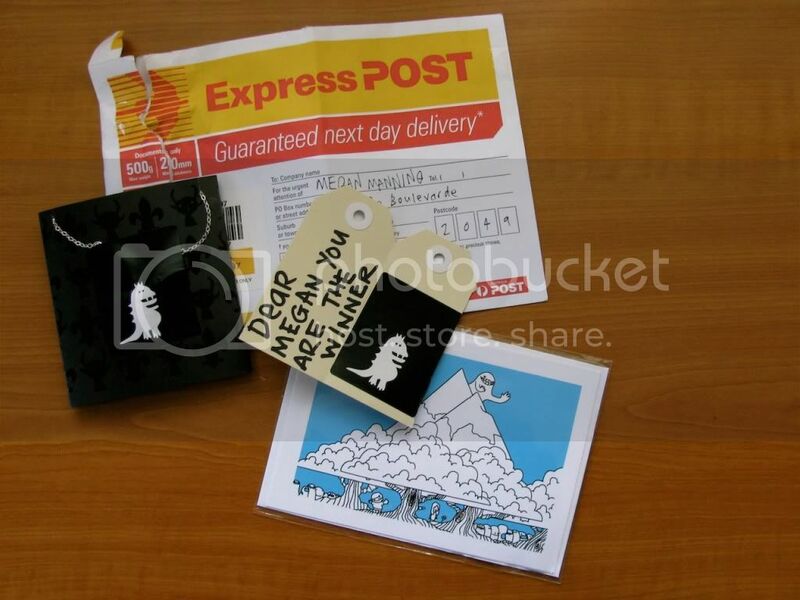 Corky Saint Clair kept their word though - and this cheerful package was delivered to me this week. 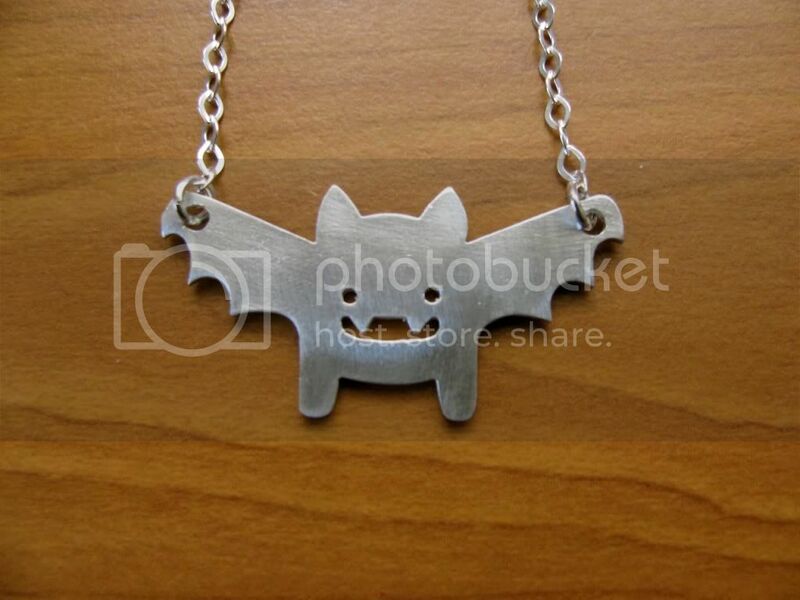 I now have a vampire bat necklace to call my own, and a hand written note saying "Dear Megan, you are the winner". They're super nice boys (I met Chris and Louis at Finders Keepers) and I'd highly recommend purchasing, or winning, things from them. You can buy things from here and read the blog here.